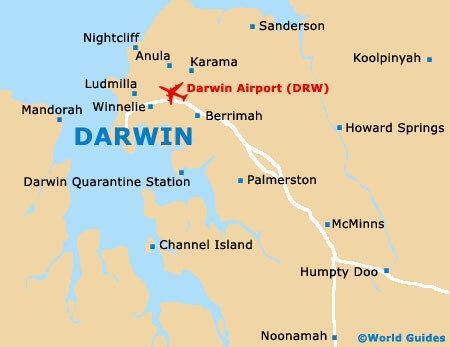 There is a lot to see and do within Darwin, and the city's selection of museums and galleries provide a definite fix of culture. Overlooking Fannie Bay, the Museum and Art Gallery of the Northern Territory is one of the most popular in the Darwin area and is home to some exceptional collections, which include a display of Aboriginal art, contemporary paintings and local artefacts. Particularly notable are the unusual bark paintings and carvings originating from the Tiwi Islands. Tourists in Darwin will also appreciate the interesting cells and prisoner histories on offer at the Fannie Bay Gaol. For war and military paraphernalia, the Military Museum at the East Point Reserve is the place to come, being established in 1965 by the Royal Australian Artillery Association (NT). 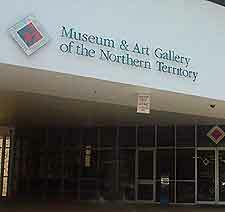 Within easy reach of the city centre, the highly regarded Museum and Art Gallery of the Northern Territory (formerly the Northern Territory Museum of Arts and Sciences) features a diverse collection of artwork, including art galleries displaying Aboriginal paintings and impressive sculptures. 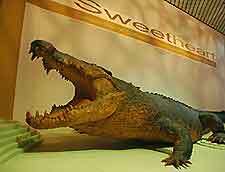 Other attractions include a large number of stuffed animals - including huge crocodiles, a café and a well-stocked gift shop. Visitors will also appreciate the exhibition relating to the infamous Cyclone Tracy. The Mindil Beach Sunset Market is close by if you are in this area with time on your hands. The Chinese Museum in Darwin celebrates the diverse Chinese community that is located at the Top End of the city. Highlights include a plethora of local oriental artefacts explaining the life and struggles of past Chinese immigrants, although it is the imposing Chung Wah Temple that rather steals the show here, being the focus of annual events such as the Chinese New Year celebrations and the Moon Festival. Located within the East Point Reserve, the Military Museum documents the city's experiences in the Second World War and includes videos, wartime photographs and a large weaponry collection. Over the years, the quality and status of the Military Museum has grown enormously, so much so that in 2008, the Northern Territory government allocated some AU$10 million to improve exhibits and fund various projects. The Fannie Bay Gaol is an interesting museum on the outskirts of the city, dating back to 1883, when it was the main jailhouse in Darwin, until closing in 1979. Visitors will be able to take a look at old cells and some gallows, built specifically for a hanging in the early 1950s. There is also an area that in the past was used to house Vietnamese refugees and even lepers.